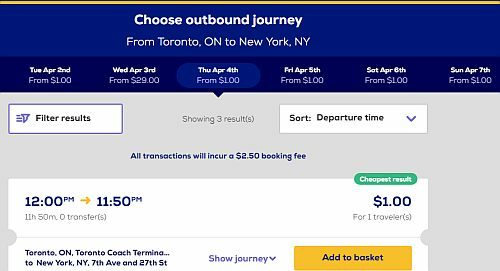 Megabus is having another one of their '$1 bus ticket' promotions on various routes from Toronto. 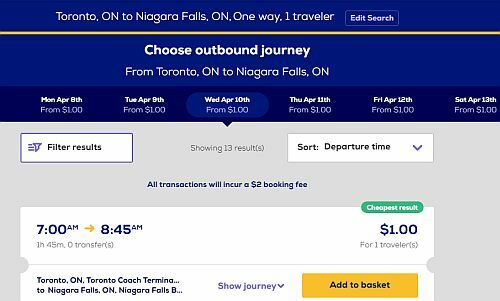 Toronto to New York City, Washington, D.C., Niagara Falls, and many other Megabus destinations are currently showing tickets for $1 USD each way on certain dates. There's a $2.50 cent booking fee. - The $1 seats are only available on certain dates. They usually go pretty quick! NOTE: Most dates may only have 1 seat available. You may see a lot of dates for $1 when selecting '1 traveler', but when you change it to 2 travelers, they're not available. 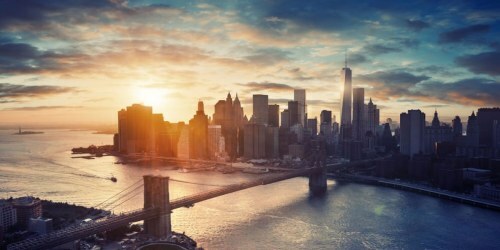 TIP: Try searching for a one way ticket there, and a one way ticket back, instead of a roundtrip ticket. It's easier to find the $1 dates this way.